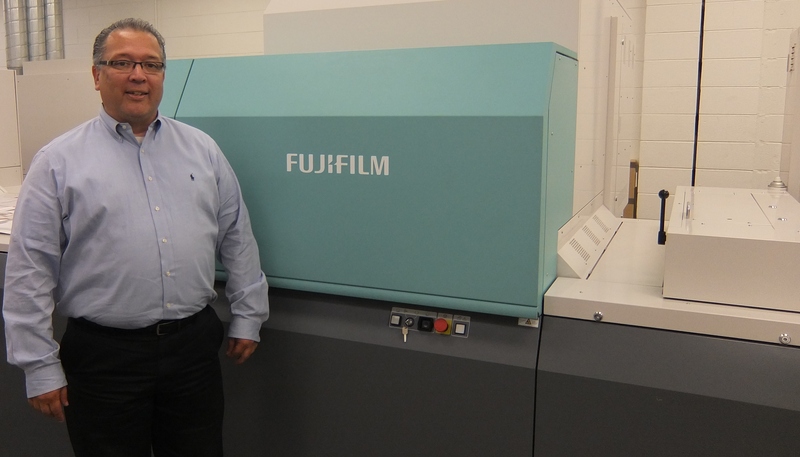 FUJIFILM North America Corporation, Graphic Systems Division recently installed the J Press 720S at Classic, a Broadview, Illinois-based high-end commercial print provider. Classic is a leader in digital artistry and innovative printing. For over 35 years they’ve crafted solutions, mastered technologies and expanded capabilities to exceed their clients’ highest expectations. Classic works with Fortune 500s, including automotive and high-end fashion, as well as B2Bs, boutique businesses, and agencies. 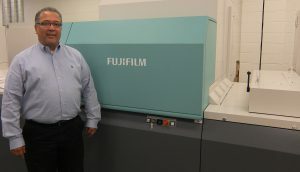 With a 29.5-inch x 20.9 inch sheet and an output of 2,700 sheets per hour, Fujifilm’s second generation sheetfed J Press 720S is an ideal solution for printers like Classic looking for a product that features the quality and robustness of an offset press, and the versatility to handle even the shortest of press runs. Uptime is another hot topic when discussing a digital inkjet press. With a toner based machine, press operators would often need to check the output, because they needed to ensure the output is right. “With the J Press 720S our operators don’t have to sit around and pick samples for review; it just runs,” adds Hernandez. The newly installed J Press 720S at Classic complements their other equipment, and Hernandez is pleased with the new business coming through his doors. “The J Press 720S has opened new avenues to us; we continue to offer the high-quality product we are known for, while now being more cost-effective with short-runs,” says Hernandez. Hernandez speaks about inkjet being the next level of quality, and how the J Press 720S output is better than offset. Classic is able to produce a variety of short-run jobs on their J Press 720S, including those that are design-heavy, as well as variable data and jobs with unique specifications. They recently switched a high end variable specialty publication job onto the J Press 720S, and their client was very pleased. Hernandez says having more flexibility with color options was key, and now this particular job will always be produced on their J Press 720S. Hernandez says for Classic to produce beautiful work off their toner-based machines, they had to work ‘twice as hard’ and had to deal with markings and streaks, and could never match the quality of offset. To learn more about Classic, please visit: www.classic-color.com.